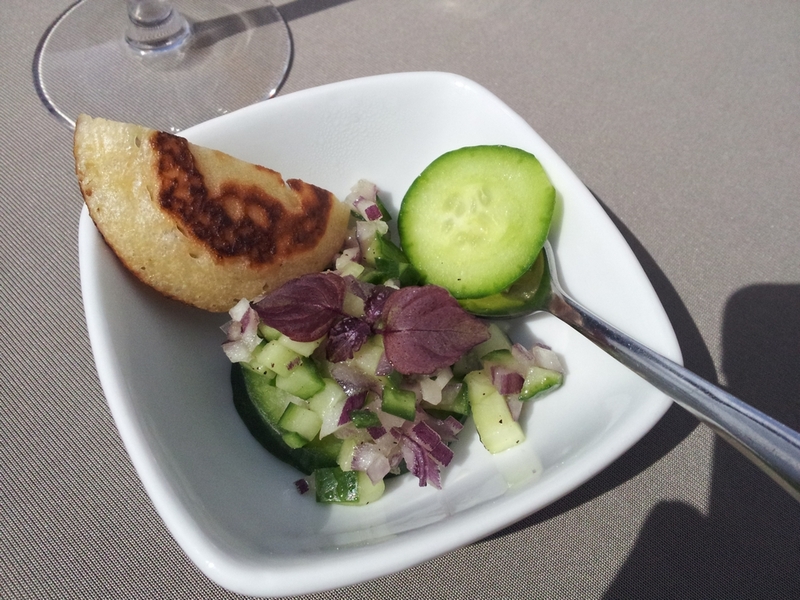 Restaurant review #39 – A couple of weeks ago, we were invited to a banquet for a communion feast, at de Baronie in Lovendegem. Lovendegem is a small village just outside Ghent. The host had specifically asked for a vegan menu for the both of us and had communicated with me about the menu (thank you!). Still, on such occasions we’re always a bit anxious about what we’ll be served, and whether the kitchen has understood what vegan actually means! Especially in a place where there’s nothing vegan available, and the standard menu is full of fish and meat dishes and lots of dairy. 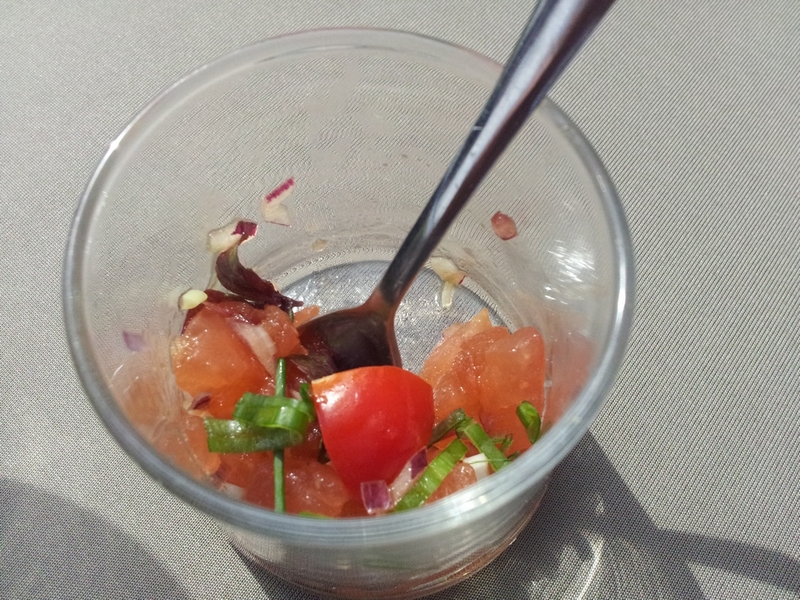 When I arrived at the restaurant, I quickly inquired whether our vegan wishes were noted and the head of the restaurant confirmed it was taken care of. 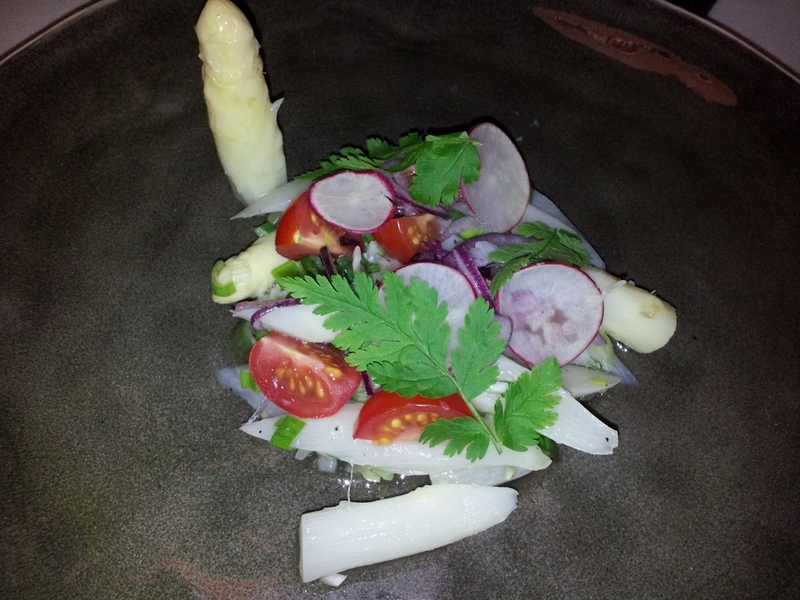 The starter was with white asparagus, radish, tomatoes and scallions. Nice and fresh. 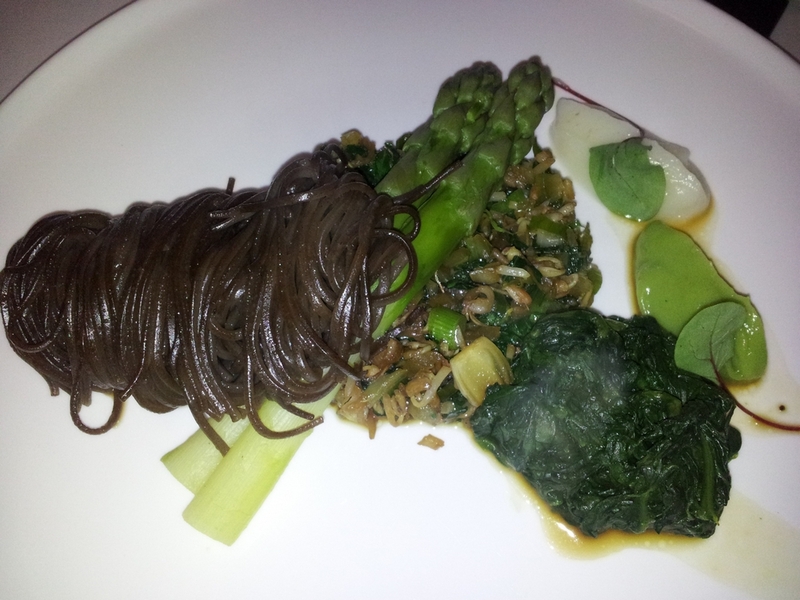 Main course with dark pasta, green asparagus, spinach, fried vegs and two dots of puree (if I remember correctly creme of brocolli and cauliflower). Good combination and nice variety. 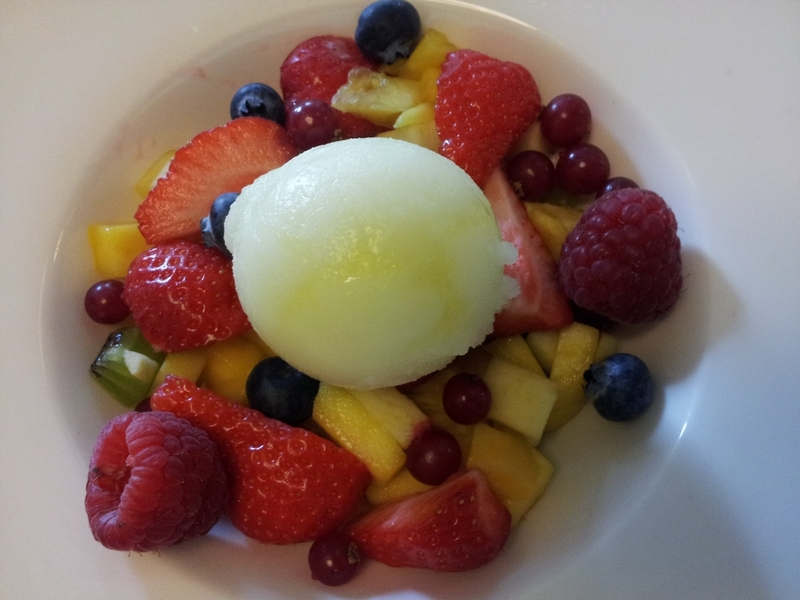 Dessert was lemon sorbet and a selection of fresh fruits. Not very inspirational, but I always love a bowl of fresh fruits nonetheless! All in all a very nice menu! We both had a slight suspicion that the pancake in the appetizer contained butter, or was maybe baked in butter, as that was a taste we hadn’t experienced in quite a while. So a little bummer about that. The times, they seem to be slowly changing!